Capt. 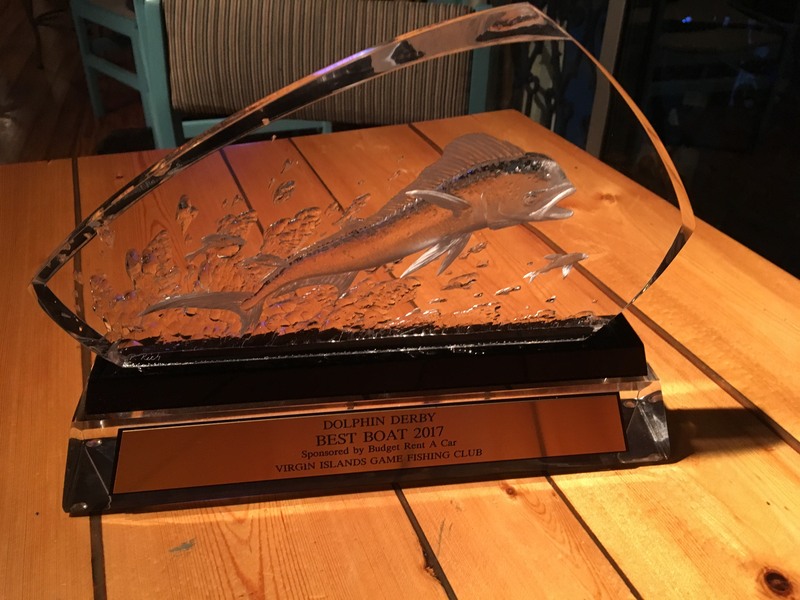 Alvin Turbe and crew are off to an excellent start in the 2017 Virgin Islands tournament circuit earning Best Boat in their first tournament of the year. 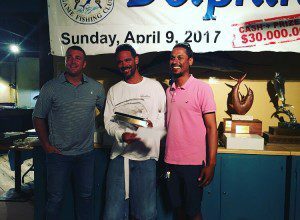 The annual Dolphin Derby, hosted by the Virgin Islands Game Fishing Club (VIGFC) on April 9th, featured a total of 17 boats and 67 anglers, all competing for the largest Mahi and a shot at a $25,000 grand prize. Anglers John Clark and Tamika Turbe of the Capt. Alvin crew earned the 5th, 6th, 8th and 9th largest fish in the tournament. Combined however, the Capt. Alvin Fishing Charters crew landed 10 fish totaling 184lbs of Mahi-Mahi, securing the Best Boat award in the year’s USVI Dolphin Derby. This marks the 4th Best Boat award in 5 consecutive years for Capt. 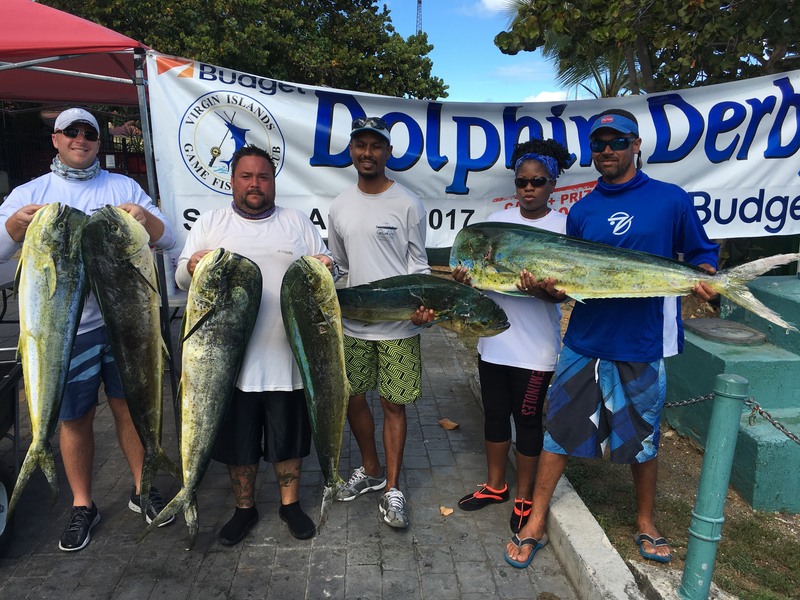 Alvin Fishing Charters in the Virgin Island’s Game Fishing Club Dolphin Derby. Next up is the Spanish Town Jamboree’s Wahoo Madness tournament in Virgin Gorda, British Virgin Islands and then, our favorite tournament every year, the St. Thomas Northside Sportfishing Club’s annual Bastille Day Kingfish tournament in July!